Acknowledgement: Most of the information on this page has been drawn from the excellent book "The Vale", which was written by James H.P. Weir to commemorate the 125th Anniversary of the Vale of Leven Bowling Club in 1992. These words from Donald McLeod's, "Dumbarton, Vale of Leven and Loch Lomond" tell of the many processes involved in the textile industry, which contributed greatly in the transformation of the Vale from a rural community to one that was highly industrialised. In the early 18th century the local population was about 300, mainly involved in farming and fishing. This changed dramatically with the birth of the dyeing industry in the area. This activity was based upon the endless flow of fresh, clean water that flowed down the river Leven through the Vale of Leven from Loch Lomond. The population of the Vale of Leven rose twenty fold, to around 9,000 by the 1870's and continued to increase in subsequent years. The Vale of Leven has historically produced many famous sportsmen and athletes. During the second half of the nineteenth century the big games were shinty, cricket and of course, rowing. The Vale of Leven Football Club was formed five years after the bowling club in 1872 and it was not long before they were making their mark in Scottish Football. Along the road, "The Renton" and Dumbarton also had prominent teams. For a few years they were amongst the top teams in Scotland. In 1877 the Vale were the first team to take the Scottish Cup out of Glasgow after beating Glasgow Rangers in the final. Team: W. Wood(G), A. Michie, A. McIntyre, W. Jamieson, A. McLintock, John Ferguson, R. Paton, J. McGregor, D. Lindsay, L. McDougall and J.C. Baird. The Vale went on to win the cup again in 1878 and 1879 and were beaten finalists in 1883 (by Dumbarton), in 1884 (by Queen's Park), in 1885 (by Renton) and in 1890 (by Queen 's Park). "It is a matter of wonder to many how a club team, having such a record as the Vale of Leven had when the game was practically in its infancy, and when they had little experience, can have fallen so greatly from its former high position. One thing is that young promising local youths are not encouraged as they ought to be, whereas outsiders with a faint show of ability are signed on so freely , and as often as not prove failures. Local men who can easily be got together for training and practice, and animated with an esprit de corps, generally prove in the end to be better men." Since the full history of the club has been well documented in the 125 book there is no need to repeat this here but a brief history of the roots of the club seems appropriate. "The Alexandria Bowling Club, also recently formed, are getting a fine green formed at the north end of the village, the contractor being Mr. Young. The ground like that of the Renton Bowling Green has been acquired on most advantageous terms from Mr. Smollett. It is to be 88 yards long by 42 yards; but by and by another playing green may be made alongside it and within the same enclosure. The turf is to be taken from Ardeer Estate, Stevenston, the best for the purpose probably in Scotland. 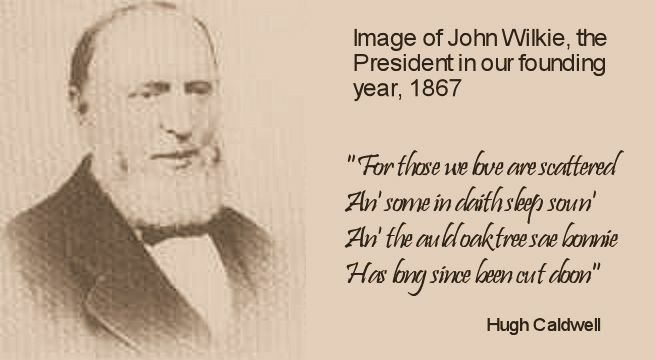 Messrs. John Orr Ewing and Co. and Archd. Orr Ewing and Co. are with their usual liberality, gratuitously furnishing and carting materials for the bed of the green. Though the green has yet to be made, the club already has 60 members." 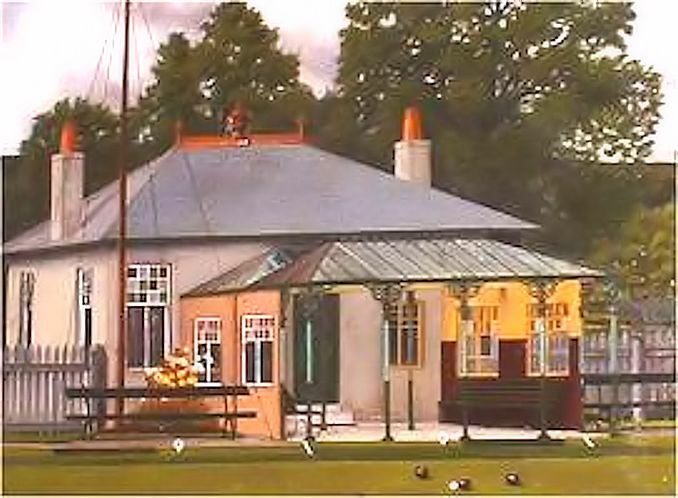 The bowling green was officially opened on the first Saturday in June 1868 by Mr. Alexander Smollett (whose ancestor Lieutenant Colonel Alexander Smollett was killed at the battle of Alkmaar in Holland in 1799 and who the Town was named after.) There appeared to be some confusion about the name of the club in these early years with some reports referring to it as the Alexandria Bowling Club while other referred to it as the Vale of Leven Bowling Club. The confusion seems to have been resolved by the turn of the century when no further references to the Alexandria Bowling Club were in evidence. Gabriel McMillan, the club champion in 1872 was presented with a pair of silver mounted bowls for his efforts. After his death these bowls disappeared and their whereabouts was unknown until a gentleman from the Edinburgh and Leith Ex-presidents Association noticed them in an Edinburgh second hand shop. By coincidence he was to play on the Vale green that year (1977) so he purchased them and presented them to the then President, Jimmy Lang. They were suitably mounted and are now proudly displayed in the clubhouse. The first presentations of prizes took place in several venues including, Mrs Young's, Main Street Alexandria, the Balloch Hotel and the side room of the Public Hall. The members may have been looking for the best deal or perhaps one visit from the bowling fraternity was enough for the hosts! The Vale's rivalry with Renton Bowling Club appears to have been in evidence right from the start. The result of a "match" was reported between the two clubs in the local paper in October 1870 as being in favour of the Vale by 16 shots. The next week the Renton Secretary wrote to the paper asking for a correction and saying that no "match" had taken place between the two clubs since the previous July. He was actually playing with semantics since he considered that a "game" had been played as opposed to a "match", The next week the following letter appeared. A club looked on as "nae sma drink." 'Tis often asked what's in a name? for club and game laws this condemn. 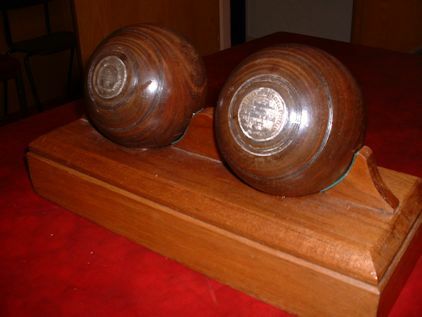 These then were the roots of the Vale of Leven Bowling Club. In subsequent years the club went from strength to strength. By 1906 membership was restricted to 80 and the directors started making plans to convert the two adjacent tennis courts, which were laid out in the early years, into a second green (the current east green). The demand was created by the influx of people to the area who worked for the new Argyll Motor Works. The new green was opened in April 1907 by Hon. President Mr. Henry Brock, who generously donated a silver trophy (our original Brock Cup). 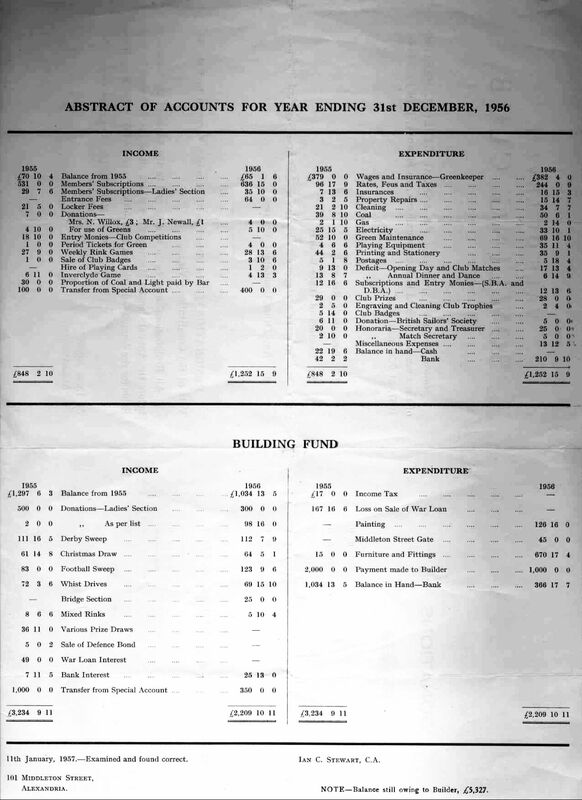 The club remained on a reasonably sound financial footing during the depression years as is witnessed by the Abstract of Accounts for the year ended 9th February 1932. At the AGM of 1955 the members discussed the merits of building a new clubhouse against an extension to the existing one. It was decided to prepare plans for both for presentation to the next AGM in 1956. 2. Mr. Robertson would not want any payment for three years after construction. 3. The club would not be charged any interest. 4. The new clubhouse would be ready for opening day 1956. With such generous terms the membership quickly approved the plan and work commenced in August 1955. The new clubhouse was ready ahead of schedule and the directors held the first meeting there on 19th February 1956. We should all be grateful that this committee had the foresight to go ahead with this because the clubhouse at that time dwarfed any others in the district. It is to their credit that even today, our premises albeit further extended, are still the largest in the area. The 1956 Balance Sheet shows that we paid over £50 for coal in 1956. How many of the present members remember the coal fire? It used to be on the East wall of the lounge (the mirrored wall). Our club badge was designed in 1951 by Jim Tennent who was later to become a member, and indeed president of the club. Jim later designed the 125 anniversary badge and then the 150 spanning an incredible 66 years. Jim is also the creator of some of the wonderful graphics that are seen on the lists of past presidents and champions on display in the lounge bar. The design of the original badge is based on the old oak tree that used to stand at the location of the fountain in Alexandria. 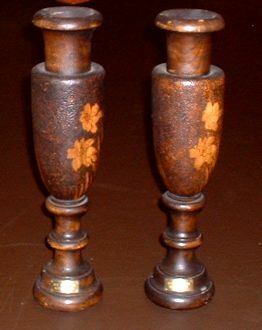 This was cut down in 1865 but a piece of it was preserved and made into two vases, which the club later acquired. These remain in the club house to this day. Throughout the sixties membership waiting lists became necessary as the game grew in popularity. When the list was opened for applications there were normally about hundred people applying for membership. This continued through the seventies and eighties and the membership was was eventually extended from 220 to 240 full members to help alleviate this situation. In 1986 the junior section was formed and it soon attracted members' sons and relatives. Many of the original juniors stayed the course and became very successful senior members, two of them going on to win the championship. On the bowling green there have been too many high points over the years to report in any detail here. But we do hold a unique record with two other clubs (St. Rollox and Carluke). We had representatives reaching the Scottish finals for seven consecutive seasons when they were held at Queen's Park Bowling Club, Glasgow. From 1972 until 1978 we were there every year and fortunately this culminated in a victory for the Senior Four, a victory that was repeated in 1996. The Vale of Leven Bowling Club has come a long way since our humble beginnings in 1867. As a club we have achieved a great deal both on and off the greens. Today's members reap the benefits of the industry and dedication shown by all of the past and present committees who have given up their own time to ensure that we continue to prosper. We should raise our glasses to them! Read about Bowling History in Scotland, the UK and the rest of the World. Jack Bruce passed us some information that the late Jimmy Rodger's daughter Moira discovered when going through some old material of her father's after he passed away. This was a letter sent to all the members in January 1953. Its purpose was to place a proposal for a new clubhouse before them in advance of the AGM that year. This is a transcript of the original letter, which was falling apart with age. It makes fascinating reading. The Annual General Meeting is almost here once again, and this year the Directors have a most important proposal to put in front of you, and have asked me to write you this letter so that you will have time to think the matter over between now and the date of the meeting. The Directors consider that the time has now come when we should think of building a NEW CLUBHOUSE. First of all let me say that the present clubhouse, built in 1908, has stood us in good stead, and will have to do us for quite a few more years. I think however, and I am sure most of you will agree, that our present accommodation does not meet with the requirements of a Club with 180 members, and that this is especially evident on rink nights and on social occasions. What the Directors envisage is a clubhouse on the lines of that owned by the Dumbarton Club, with separate and adequate accommodation for bowl-house, cloak-room, hall (large enough for social occasions) members’ lounge and bar, etc. Such a project will, of course, be a costly business, and whilst in these days it is very difficult to estimate, I should think that the cost would be anything from £5,000 to £7,000. The first question you may well ask is how we would set about financing such a project ? Well, gentlemen, so far as the Directors can see, there is only one way, the hard way, and that is to raise the annual subscription to such a figure as would cover the running expenses of the Club. This would then free the annual surplus earned by the Bar and the directors propose that a substantial proportion of this surplus should be allocated to a Building Fund. This fund could well be augmented by running various social schemes, and with the aid of the Ladies’ Section, who I am sure would be only too willing to help. I am confident that in about five years time we should be in a strong enough position to go ahead and build. set out below that, excluding from income the £250 from the Bar, the £90 Levy, and the £41 ??? from the Social Scheme (Football Sweep) that there is a deficit of £167 14/4d which would be practically covered by an increase in the Annual Subscription to £3. Well, gentlemen, these are the Directors proposals! I am sure that like the Directors, you all have the interests of the Club at heart and I would ask you to give these proposals your very earnest consideration. It is for you to decide.With best wishes to you all for a happy and successful bowling season in 1953.